The company of Cats. Photo by Matthew Murphy. 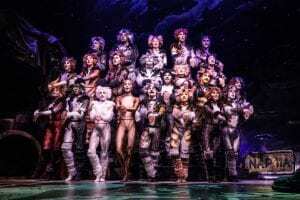 Cats launched its national tour last week, and Hartford’s Bushnell is the second stop on a year-long odyssey for this musical story about a singing and dancing pack of felines who sing music of Andrew Lloyd Webber and dance Andy Blankenbuehler’s recreation of Gillian Lynne’s choreography nonstop. 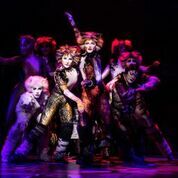 Cats is designed to perfectiion, staged and choreographed with finesse, and the ensemble performs the exuberant choreography sensationally. The Jellicle Ball, which ends the first act, is a song and dance triumph, brilliantly staged by Andy Blankenbuehler, as inspired by the late Gillian Lynne. The entire company, performing in elite syncopation, were fabulous, and nothing else could really top that ten minute spectacle of art and athleticism, other than Keri Renee Fuller’s sublime interpretation of Cats’ signature tune, Memory. As area audiences recover from the nonstop buzz of Hamilton, which created a social media frenzy and packed houses wherever it goes, memory reminds us that Cats caused the same frenzy in the days before social media, when it crossed the Atlantic in 1982, to become a Tony Award winner and Broadways fourth longest running musical. I was living in New York then, and remember the cats eyes logo looking down on Times Square or the Winter Garden Theatre, Cats logos everywhere from taxi cabs to subway stations to Metro North. The London cast album played on radio everywhere, and this one song, “Memory” , recorded by Barbra Streisand played everywhere. 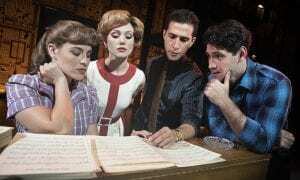 There were the Tony Awards for Best Musical, Book of a Musical, and Score. 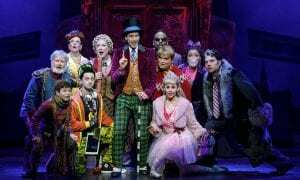 For those who missed Cats during its almost two decade Broadway run and multiple tours, or who haven’t seen the video, Cats is a sung-through musical composed by Andrew Lloyd Webber, based on Old Possum’s Book of Practical Cats by T. S. Eliot. 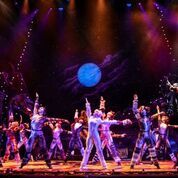 The musical tells the story of a tribe of cats called the Jellicles and the night they make what is known as “the Jellicle choice” and decide which cat will ascend to the Heaviside Layer and come back to a new life. I wasn’t much of a Cats fan then. It didn’t live up to the hype, and although it had incredible sets and costumes, and some top-notch staging of the scene surrounding “Memory”. But, I’ve been away from it for a long time, and I was hoping to get a glimpse of super-talented Westfield, MA actor Nick Burrage, who is covering six different roles in the tour, and serves as dance captain. He did not perform opening night. The blend of design and the performances .changed my mind about Cats. It’s aged well, and this tour is vibrant on every level. Director Trevor Nunn has tweaked the show, all for the best. Cats runs through Sunday, February 3. For those who have never seen a stage version, a visit to The Bushnell will give you the opportunity to understand why Cats is landmark. For those on a repeat visit, let the memory live again. The Bushnell presents Cats. Music by Andrew Lloyd Webber; Based on “Old Possum’s Book of Practical Cats” by T.S. Eliot; Lyrics by T.S. Eliot; Additional lyrics for “Jellicle Songs for Jellicle Cats” and “Memory” by Trevor Nunn; Additional lyrics for “Jellicle Songs for Jellicle Cats” by Richard Stilgoe; Music orchestrated by Andrew Lloyd Webber and David Cullen; Musical Director: Eric Kang. Directed by Trevor Nunn; Choreographed by Andy Blankenbuehler; Based on the original choreography by Gillian Lynne.Scenic Design by John Napier; Costume Design by John Napier; Lighting Design by Natasha Katz; Sound Design by Mick Potter. Through February 3 at The Bushnell, Hartford, CT. 860-987-5900 or www.bushnell.org.